SIM U SUIT.COM: Manikin (mannequin) obesity simulation, bariatric simulation, edema leggings & more - SIM U SUIT.COM: Manikin (mannequin) obesity simulation suits, bariatric simulation, edema leggings - Realism for medical, hospital, & nursing simulations! Sim U Suit offers manikin leggings that can be easily applied to your manikin to simulate pitting edema buildup in legs or arms. The leggings can be ordered by the pair and can be applied to almost any manikin (mannequin), person, or patient simulator. They can also be applied to a real person. ​Edema Leg Sleeves fit on any adult-sized mannequin (manikin) or can also be worn by a real person. Simply velcro them onto your manikin and fit them vertically on the legs to suit your preference on placement. Leg Sleeves simulate pitting edema tissue dimpling. Make your sim sessions better with our leggings! THESE EDEMA SLEEVES ARE ALSO AVAILABLE IN DARK ETHNIC SKIN TONE. If you want to order Edema Sleeves in dark skin tone, please specify in the "instructions to seller" section during checkout. Click the "BUY NOW" button at right to order now using your credit card or see below for information on ordering via check or purchase order. ​Lymphedema Simulation Arm sleeves fit on any adult-sized mannequin (manikin) or can also be worn by a real person. Simply velcro them onto your manikin and fit them vertically on the arms to suit your preference on placement. Arm Sleeves simulate tissue dimpling. ​Our pitting edema CHILD simulation leg sleeves are designed to fit common brand child mannequins (manikins). Simply velcro them onto your manikin and fit them vertically on the legs to suit your preference on placement. Click the "Add to Cart" button at right to order now using your credit card or see below for information on ordering via check or purchase order. NEED TO ORDER USING A CHECK OR PURCHASE ORDER? Click the button below. CLICK HERE to order via P.O. or Check! 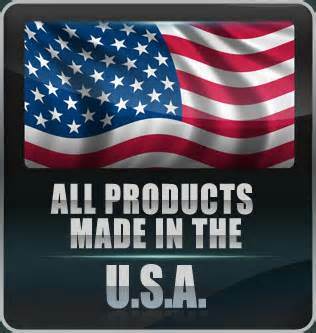 ALL PRODUCTS PROUDLY MADE IN USA!! !